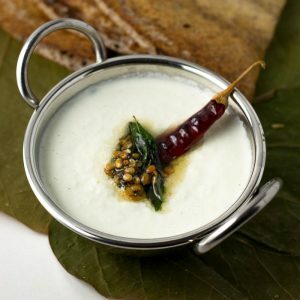 Salavai Chutney – White coconut chutney made with fresh shredded coconut and dry roasted cashews. This is a chettinad style spicy coconut chutney. Recipe with step by step pictures. சலவை சட்னி! 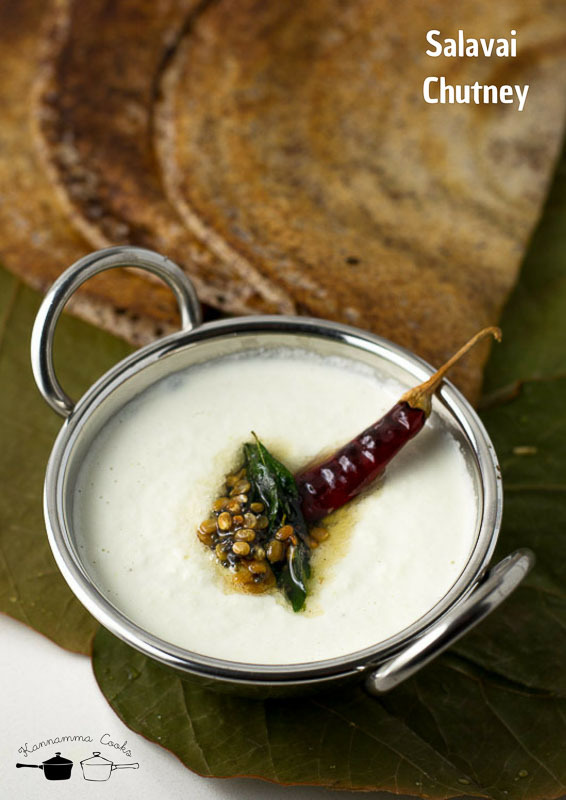 “Salavai Chutney” – The word Salavai in Tamil loosely means “to laundry the dirty clothes so they look pristine white!” Coconut chutney is a staple in south Indian households. 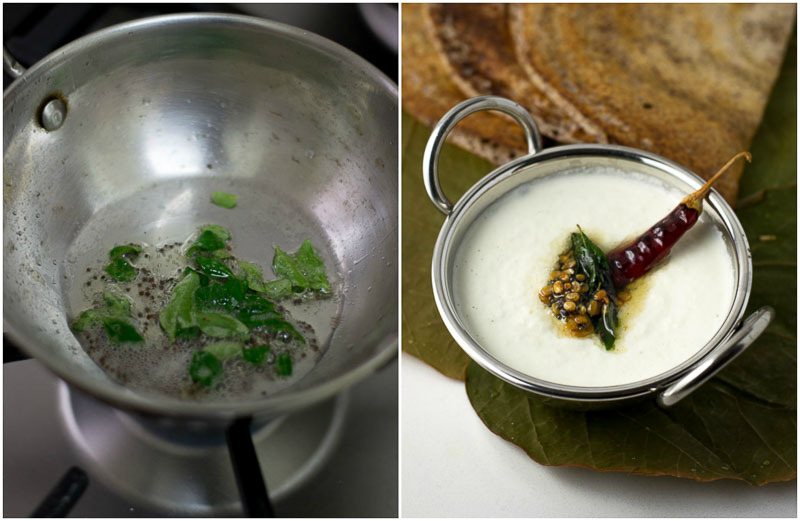 Coconut chutney usually is made two ways. The green one with coriander leaves and the white one that’s made with coconut and roasted lentils. 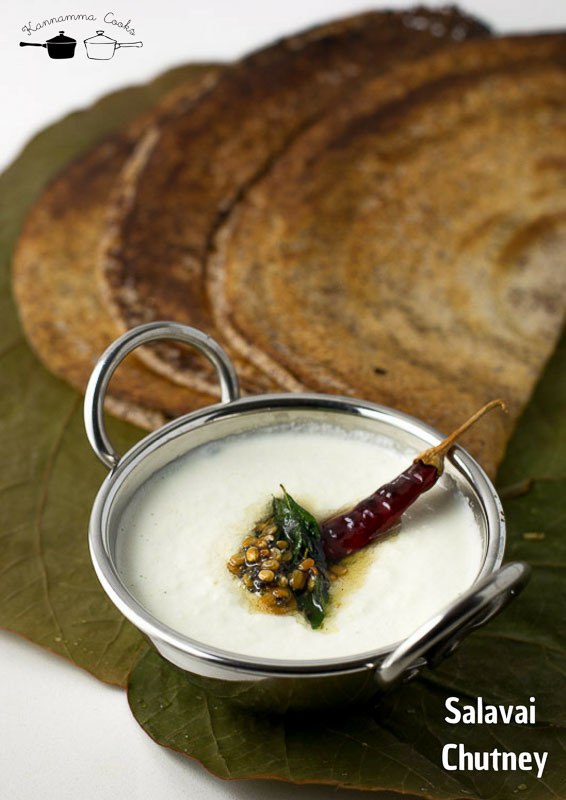 This Chettinad variant takes coconut chutney one notch higher. The color of the chutney is pristine white. This Chettinad delicacy made for functions and festivals uses copious amounts of cashews and fresh shredded coconut. Fresh coconut is ground with roasted cashews and green chillies. That’s it. There is no lentils used in this chutney. Coconut chutney is never cooked. A tempering of chillies, mustard and curry leaves in sesame oil is added in the end. A perfect accompaniment for idli and dosa! This recipe has been adapted from Mrs.Seetha Muthiah! Take half a cup of fresh shredded coconut and remove the brown pith so the chutney when ground will be really white. 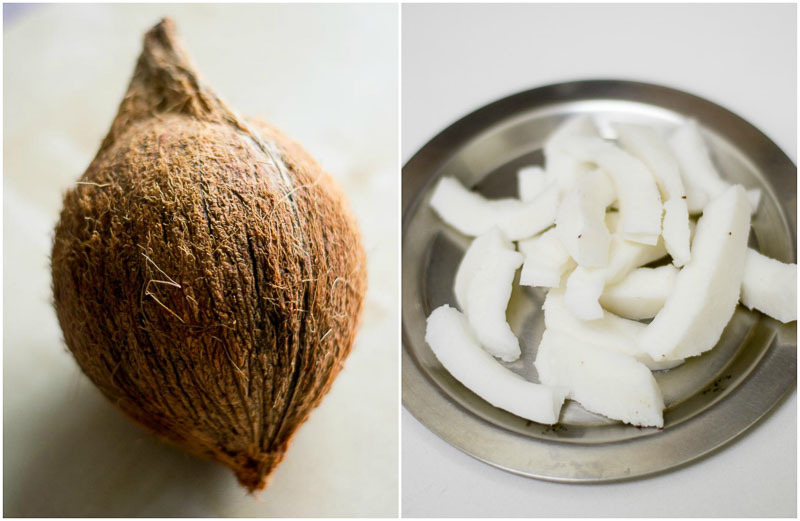 Here is a video on how to shred coconut! Set aside the prepped coconut. Next we will dry roast some cashews. Heat a pan and add in the cashews. Dry roast the cashews for a couple of minutes until slightly golden. Set aside on a plate to cool. Take a mixie jar and add in the coconut, cashews, green chillies (for the spicy heat) and salt. 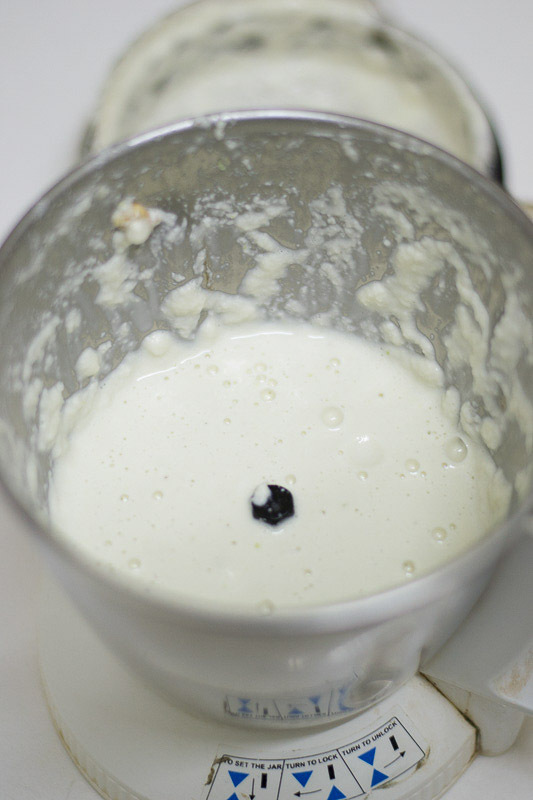 Add in half a cup of water and grind to a smooth paste. The chutney is done! Add sesame oil in a pan. 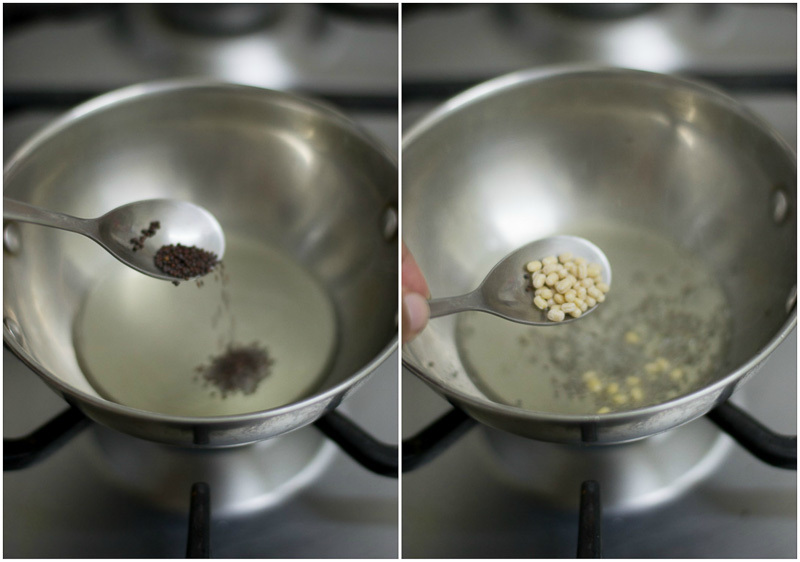 When hot, add in the mustard seeds and urad dal. Let the mustard seeds splutter. Add in a sprig of curry leaves, dry red chillies and asafoetida. Add it to the ground chutney. Serve with idli or plain dosa. I paired the coconut chutney today with ragi dosa. Take a mixie jar and add in the coconut, cashews, green chillies and salt. Add in half a cup of water and grind to a smooth paste. The chutney is done! Your recipes are so unique! The effort you put in shows in your work and will also go a long way in preserving traditional recipes.Kudos to you! For the first time came to know cashews are added to chutney. Wow!amazing! Will experiment and enjoy. Thank you so much for letting me know. I have updated it! 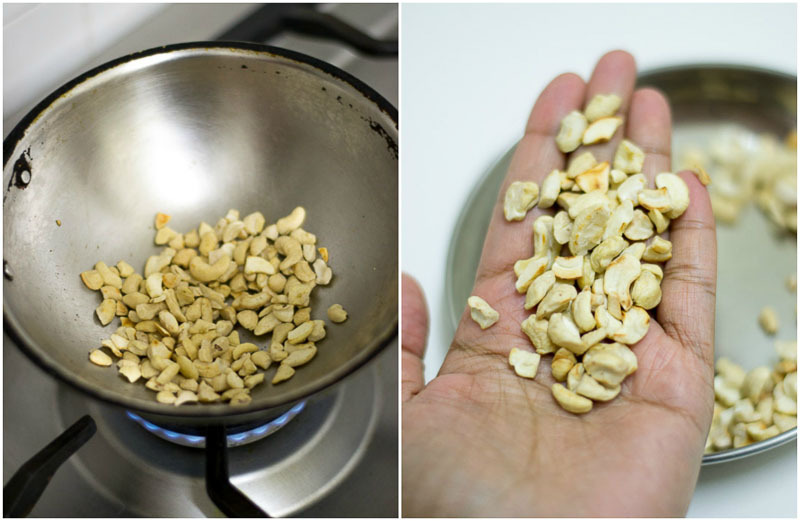 Dry roast rhe cashews… it says “Dry roast the coconut” in the paragh. Thanks. I have updated the correct word.